Hideo Kojima of Konami fame has confirmed during Gamescom that both episodes of Metal Gear Solid V, The Phantom Pain and Ground Zeroes, will be released on PC via Steam at some unspecified point in the future. The first game to hit PC will be Ground Zeroes, which debuted on PlayStation and Xbox earlier this year. The short stealth-action game is a prologue to the events in The Phantom Pain, which itself is set in the early parts of Metal Gear's timeline. The Phantom Pain is the much larger and main Metal Gear Solid V title, set for release in early 2015 on both current- and last-generation Sony and Playstation consoles. Like Ground Zeroes, the game will be powered by Kojima Productions' cross-platform Fox Engine, which should look excellent on PC based on what we've seen on consoles so far. 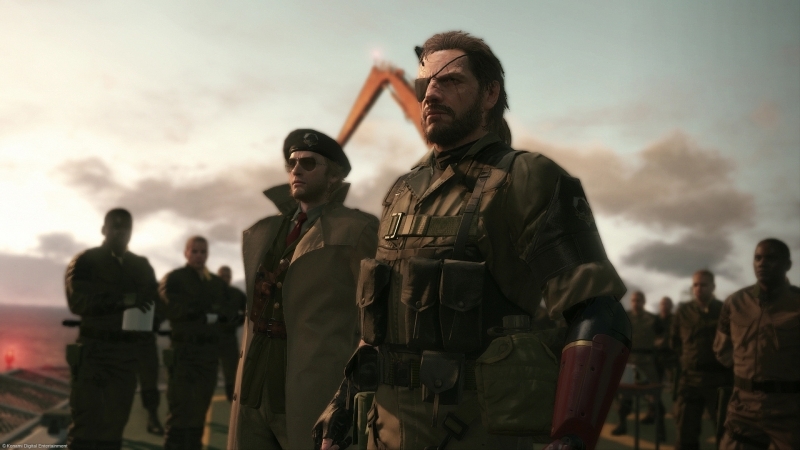 Metal Gear games have traditionally been released on PlayStation well before other platforms, with numerous titles in the series never getting a PC release. The last Metal Gear game to see the light on PC was Metal Gear Rising: Revengeance, launched this past January on Steam, just under a year after its console release. After Metal Gear Solid 4: Guns of the Patriots was exclusive to PlayStation 3, it's great to see the series go platform-agnostic once again.